A PLAN to reconnect Glasgow’s left behind communities and rejuvenate the city centre has been launched by the independent Glasgow Connectivity Commission. In a wide-ranging set of recommendations, the Commission, chaired by transport expert Professor David Begg, called for radical action to bridge the connectivity gap separating areas of the city which were thriving from those which suffered from transport isolation and lack of opportunity. It included proposals which would pave the way for the biggest reconstitution of the city centre streetscape in nearly half a century, giving greater priority to pedestrians and allowing for the creation of public spaces “worthy of a great European city”. 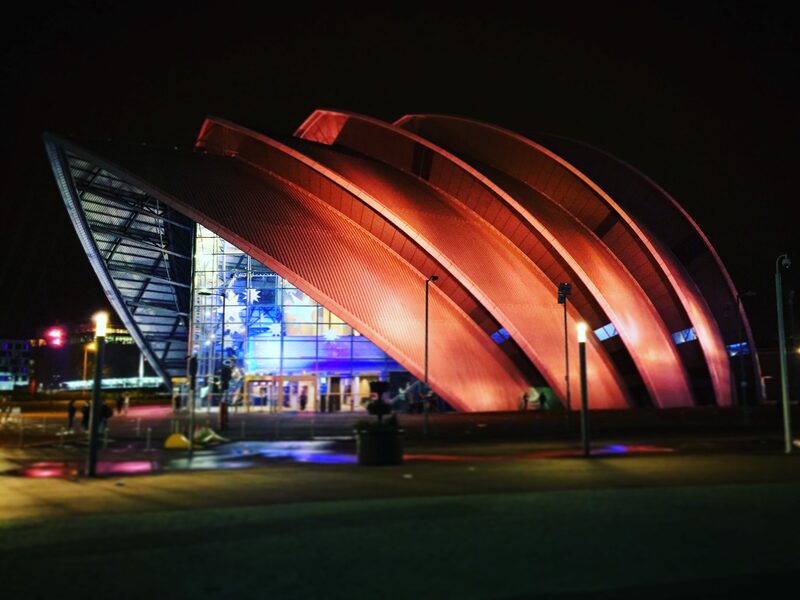 The Glasgow Connectivity Commission was established last November by Glasgow City Council leader Susan Aitken and asked to provide independent recommendations on improving Glasgow’s connectivity. In June, it published interim findings showing that Glasgow, in comparison to similar successful European cities, had a far higher proportion of its city centre used by roads, low urban population density, a dramatic decline in bus use and gaps in its fixed rail network. The report published today is the first of two containing recommendations aimed at addressing these issues and will cover areas under the control of the council including bus use, roads, planning and active travel measures. A second report will be published early next year which will address issues outwith the control of the council including development of the rail network, strategic road network and governance of transport planning. Speaking at the launch of the phase one report today, Professor Begg invited Glasgow City Council to identify within six months how it planned to respond to the Commission’s recommendations. He said: “I’d like to thank Susan Aitken for establishing this Commission and asking us to provide robust and independent advice on the connectivity issues Glasgow faces. “Glasgow is a great European city and the economic powerhouse of Scotland. But not all of its citizens are connected to the opportunities the city provides – which is placing a barrier on its growth potential. “And its streets, particularly in the city centre, do not offer an experience worthy of a great European city, the consequence of decades of planning decisions which have prioritised car use of pedestrians and denuded its public spaces. “The recommendations included in this report offer an opportunity to radically transform Glasgow’s city centre – ensuring it becomes an attractive place to live, work, visit and invest – while better connecting all its citizens so as to deliver inclusive growth.